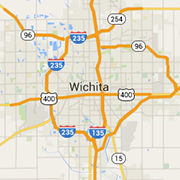 Find a roofing contractor in the Wichita Kansas area. New roofs, storm damage, repairs, shingle replacement and roofing supplies. Insured professionals for your home or business. We are a Wichita area home improvement company specializing in remodeling and restoration, roofing repair, room additions and much more. Call us for roof repair due to hail damage or storm damage. We also provide remodel and construction to any part of your home. "For every season.. Trust Wiesen" for all your Commercial and Residential Roofing and Restoration needs in the Wichita area.